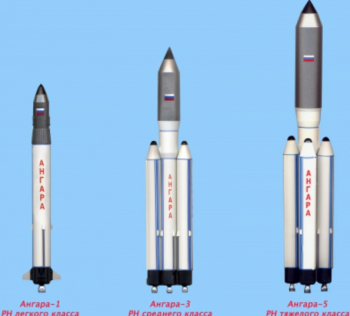 International Launch Services (ILS) has begun to market the Angara launch vehicle for commercial missions. In tandem with Proton-M launches, the Angara will allow ILS to attract additional customers via the ability to support virtually all spacecraft to all orbits, altitudes and inclinations for the low-, medium-, and heavy-lift spacecraft market. Both the Proton and Angara launch vehicles are manufactured by Khrunichev State Research and Space Production Center (Khrunichev). Given they are the majority owner of ILS, this announcement will come as little surprise to the competitive launch services market. The association had already secured ILS as the exclusive rights holder to market the Angara vehicle to commercial customers. Thursday’s announcement confirmed this process has now begun. “We are committed to meeting the needs and requirements of the international satellite market with flexibility, quality and schedule assurance,” noted ILS President Phil Slack. Angara, which is named after a river in Siberia, became the first new orbit-capable rocket to be developed by Russia since the fall of the Soviet Union. Designed with a modular approach, it is capable of flying in multiple configurations depending upon mission or payload requirements. The Angara family of rockets are based around the Universalniy Raketniy Modul (URM), or Universal Rocket Module – analogous to the Common Core Boosters and Common Booster Cores of the American Atlas V and Delta IV rockets. Powered by a single RD-191M engine, the URM-1 forms the first stage of all Angara configurations. The URM-1 consumes kerosene (paraffin) propellant, oxidized by liquid oxygen. Its RD-191 engine, built by NPO Energomash, is a single-chamber derivative of the RD-170 developed for the Zenit and Energia rockets. Although the launch marked the first flight for the RD-191, three modified engines were flown as part of the Russo-Korean Naro program. The Naro-1 was essentially the first member of the Angara family to fly. 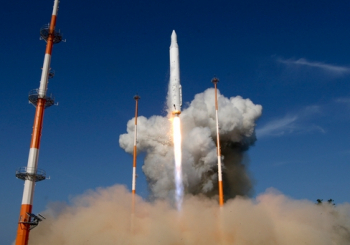 Built by Khrunichev around a modified URM-1 with an RD-151 engine – an RD-191 with restricted thrust – the Naro-1 featured a South Korean solid-fuelled upper stage and was launched from the Korea Aerospace Research Institute’s Naro Space Centre. The first Naro launch took place in August 2009, ending in failure when the payload fairing did not separate from the nose of the vehicle. KARI’s STSAT-2A satellite was lost in the malfunction. A second launch took place in June 2010, with STSAT-2B. On this mission, the rocket exploded during first stage flight, with Russian engineers blaming the Korean-built second stage for the anomaly and Korean engineers blaming the URM. The third and final Naro-1 launch occurred in January 2013, carrying STSAT-2C. On this occasion, the rocket performed flawlessly, injecting its payload into the planned orbit. South Korea is now working on developing an indigenous rocket, the Naro-2. Despite their modifications, the URMs flown on the three Naro launches will have provided useful data for Angara, giving Russia an opportunity to flight-test components without putting its own payloads at risk. The Angara’s modular nature will allow it to replace many of the varied rockets which currently comprise the Russian launch fleet. At present Rokot rockets launch the majority of Russia’s small military satellites, with slightly larger satellites using the Soyuz – with the new Soyuz-2-1v configuration helping to bridge the gap in capability between these rockets. The Angara 1.2 launch vehicle can lift three metric tons to Low Earth Orbit (LEO) and was successfully flight demonstrated on July 9, 2014 from the Plesetsk launch site. That will be the launch site of choice for ILS missions with Angara, beginning in 2017. However, the Vostochny Cosmodrome, located on the east coast of Russia, will eventually become its new home – which is scheduled for initial Angara launch capability in 2021. 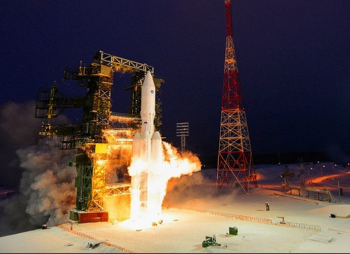 The first flight of Angara 5, the heavy-lift variant, was conducted on December 23, 2014. This vehicle will be available for GTO missions in the 2021 timeframe, following completion of the Vostochny Cosmodrome. With ILS continuing to launch Proton-M for its more demanding payloads, the Angara 1.2 is classed as a direct competitor to other launch services providers in the “small class” arena. “Angara 1.2 has significantly higher performance than Vega and other small launchers, at a more affordable price tag,” added Mr. Slack. The next ILS launch will be with the Proton-M, set to loft the Inmarsat 5 F3 satellite. However, the vehicle’s manifest is currently on hold due to an ongoing investigation into the failure of the MexSat-1 mission in May. The next Angara 5 flight is planned for next year, flying out of the Plesetsk Cosmodrome. “The Angara system is scalable to meet various performance requirements, and the use of common technology will reap production efficiencies in the factory,” added Andrey Kalinovskiy, General Director of Khrunichev.